We all want the best health for our families, and ourselves, but the reality is, unless we live in a bubble, our bodies will be exposed to a wide range of impurities as we go about our day-today lives. Troublesome bugs, food poisoning, food intolerances and over indulgences of alcohol can all result in toxins entering our bodies and causing digestive upsets. Luckily, Red Seal have the perfect first aid remedy – Activated Charcoal, designed to absorb impurities and calm general tummy upsets. 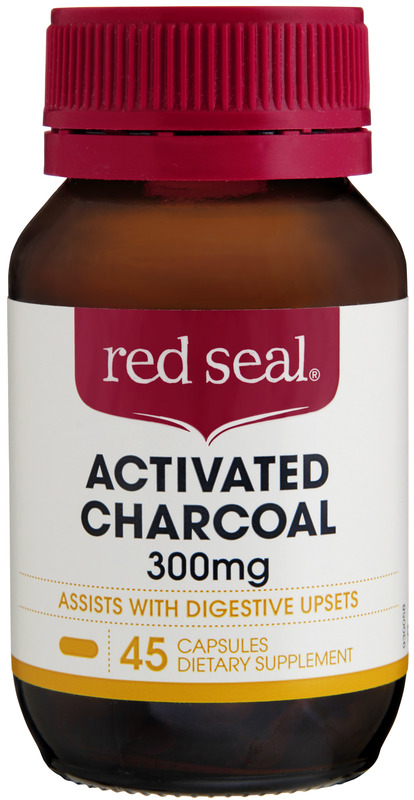 Red Seal Activated Charcoal RRP $7.60 is a natural detoxifier made from 100% charcoal powder, which helps to calm digestive upsets including bloating, flatulence and bowel irregularities. Charcoal works by binding to any gasses, toxins and pathogens found in the body, absorbing them so they can be flushed through and out, relieving unwanted problems without causing any harm. Safe for the whole family, a jar of Red Seal Activated Charcoal is the perfect travel companion, as frequently stomach upsets can occur when we head off overseas into new environments. Make sure to keep handy in your suitcase to help flush out impurities and allergens if and when they arise. Charcoal may interfere with the absorption of medications, so check with your health professional before taking, and ensure that there is adequate fluid intake with consumption.